Based on that, this list focuses on a wide variety of egg-based recipes, covering many different types of foods and different times of the day. Most of the recipes are savory in nature and are pretty healthy but be warned, there are a few treats on the list too. Let's start off with a simple one, which comes from damndelicious.net. 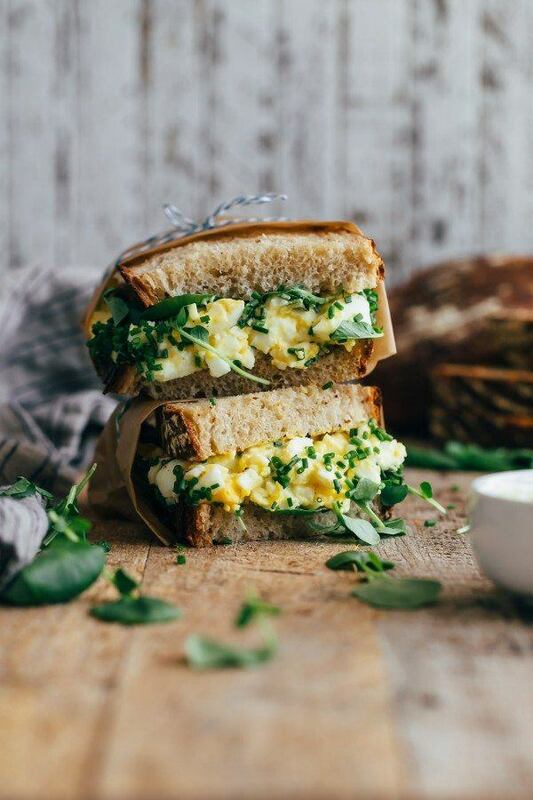 Egg salad sandwiches are a common way to eat eggs and they can be a great choice for an easy lunch, especially if you don't have any lunch meat in the house. This recipe is a variation on the general approach to this type of sandwich, largely because the recipe doesn't use mayonnaise as a key ingredient. In fact, it uses hardly any mayonnaise at all. The end result is a tasty sandwich that is healthier than most other egg salad sandwich recipes. Omelets can be pretty hearty anyway, but if you're looking for something even more filling for breakfast (or lunch), give this potato omelet a try. The recipe comes from thereciperebel.com and the whole thing is pretty easy to throw together. The basic recipe is also something that you could customize to your own tastes by swapping in and out various fillings. It's also an easy recipe to make, so it would be a good option if you had guests around or just wanted something a little bit unusual. 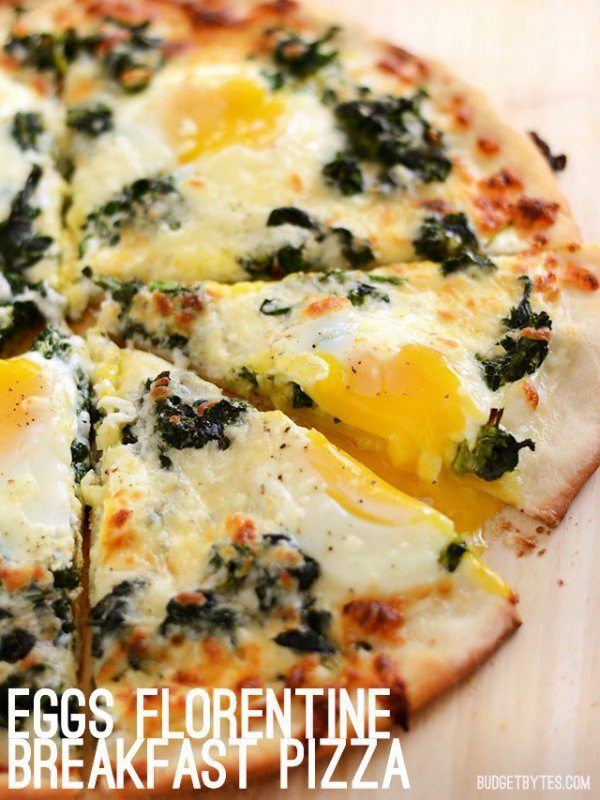 Egg isn't a particularly common ingredient on pizza but it is something that you frequently find on a breakfast pizza. 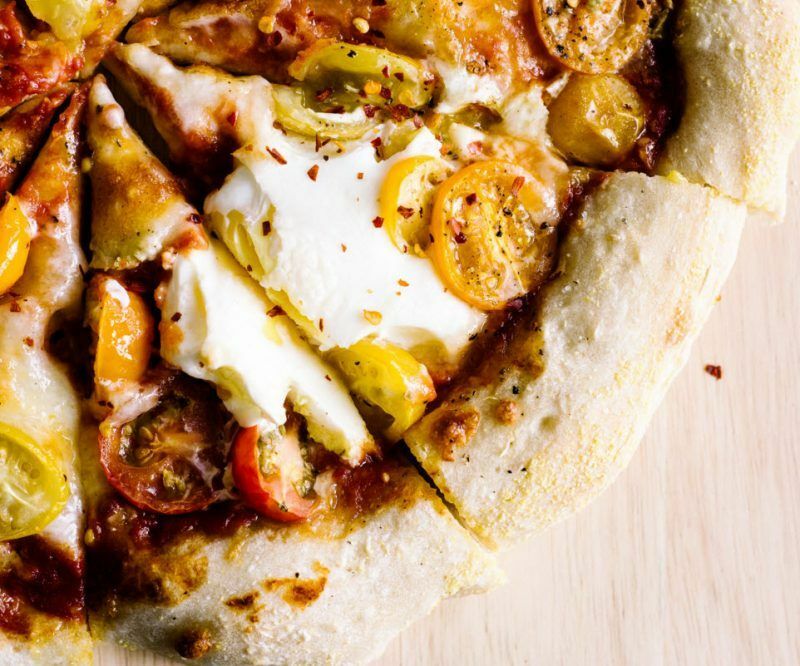 This recipe, from iamafoodblog.com, teaches you everything you need to know to make the pictured pizza right from the beginning. There is even a separate recipe for the dough if you want to make that too. Personally, I recommend giving the recipe a try even if the idea of a breakfast pizza doesn't particularly appeal to you. Many of us have pretty set ideas about what should (and should not) go on a pizza. But, you might be surprised at how good some pizza variations, like this one, actually taste. French toast is one of those recipes where you know that eggs a key ingredient, even though it doesn't look like it visually. 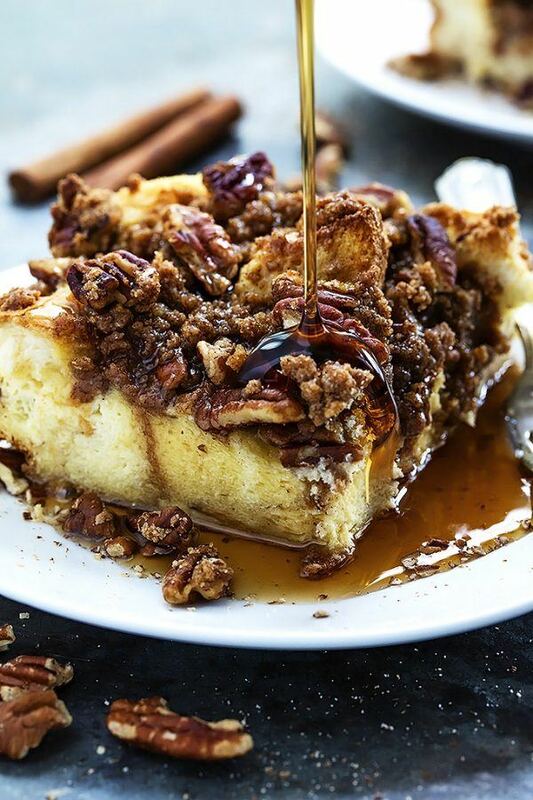 Most of us know how to make some version of French toast, but you might not have seen anything quite like this French toast casserole from lecremedelacrumb.com. Now, this dish probably isn't the healthiest option for breakfast, especially if you include the topping and the sauce used in the image. Even so, it would be a perfect option for a treat first thing in the morning or for a holiday. However, you need to get started on this recipe early, as a lot of the preparation needs to be done the night before you serve the dish. 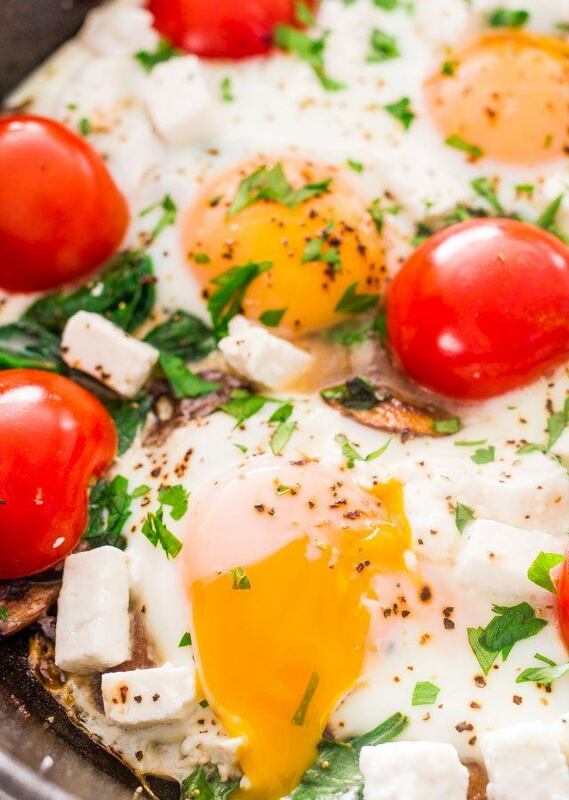 Here's another great example of a breakfast pizza and this time the recipe comes from budgetbytes.com. Like every recipe on the site, this pizza is designed to be fairly inexpensive to make, so it would work well for anyone on a budget. This is also a pizza that uses a white sauce, which would pair perfectly with the flavors from the eggs. I do love the overall colors that the pizza has and the recipe seems like it would be fun to prepare (and eat). 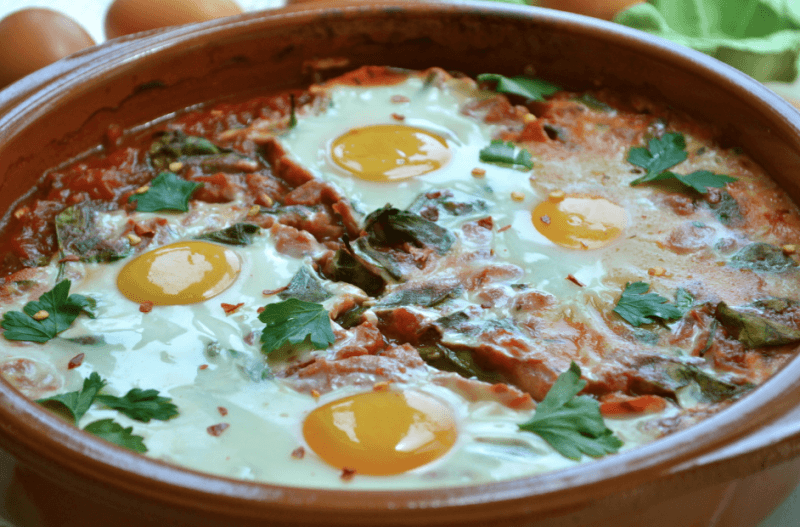 Most of us are familiar with the common ways of making eggs, such as fried eggs and scrambled, but baked eggs are an approach that many people haven't heard of and certainly haven't tried. This version of baked eggs comes from jocooks.com and the recipe is extremely easy to put together. It's also a pretty fast recipe, taking just 20 minutes from start to finish. Personally, I really like the choice of ingredients because these mean that the finished dish has such a vibrant combination of colors. So far, the recipes in this list have all been for breakfast foods and egg really is king when it comes to breakfast food. However, this recipe from yummytummyaarthi.com is a good reminder that egg can also work very well in dinner recipes. 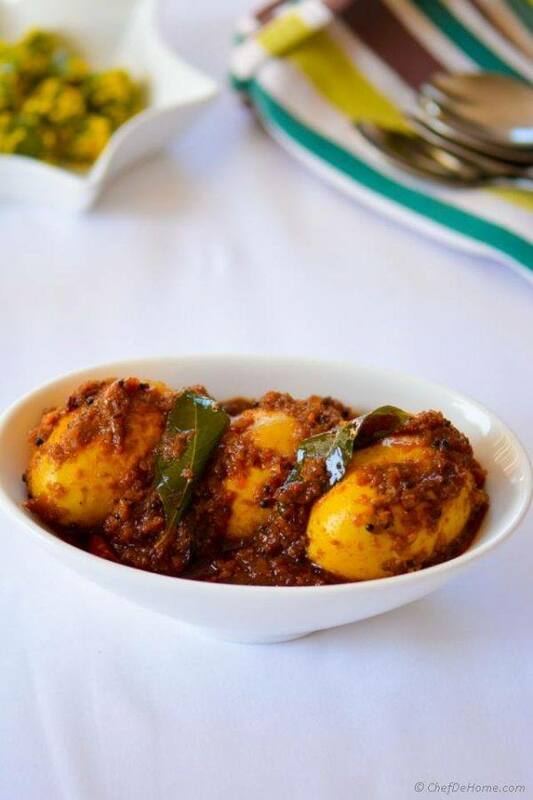 Essentially, the recipe here is for an egg curry and the dish has similar flavors to what you find in other Indian foods. As the author notes, the recipe is fast and easy to prepare, so it could be a good choice even if you don't cook Indian food often. There is also an image-based guide to the recipe, which is perfect for anyone that is a little bit unsure about the overall processes. 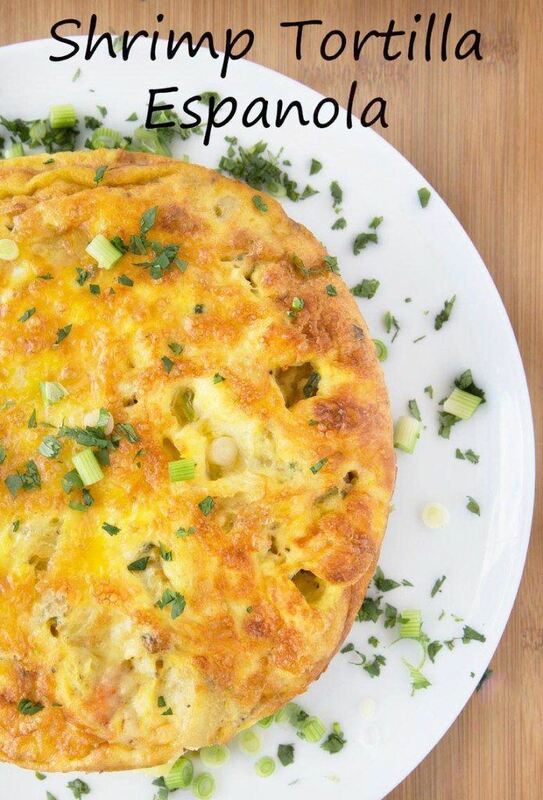 Most of us are fairly familiar with the term tortilla, but a tortilla Española (also called a Spanish tortilla) or isn't what most people expect. 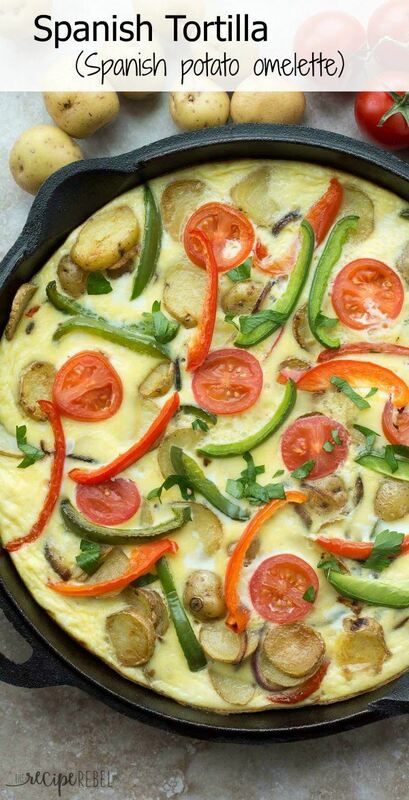 Instead, the approach is essentially a variation of an omelet, although it tends to be much thicker than traditional omelets and includes potatoes, as well as a range of optional ingredients. This particular version of the omelet comes from askchefdennis.com and it is particularly interesting because shrimp is one of the ingredients in the recipe. The inclusion of potatoes and shrimp would certainly make the dish much heartier than a traditional omelet and the recipe makes enough to serve a group of people (although, the leftovers would also be particularly tasty). Omelets are fairly common as a breakfast food and most of the time, we choose to make savory versions. But, that isn't the only option. 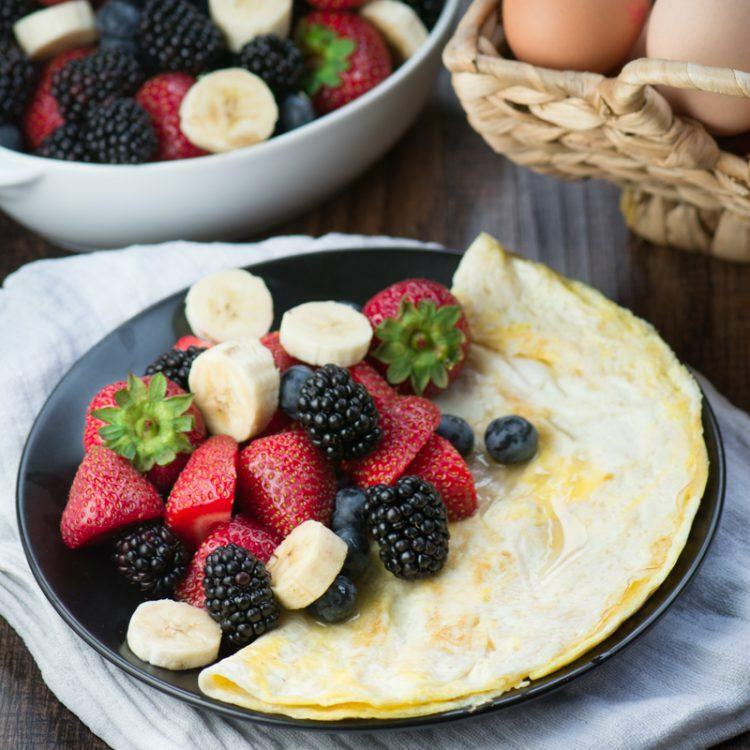 This recipe, from nutritionstripped.com, is one example of a sweet omelet, which you could make for breakfast or for dessert. 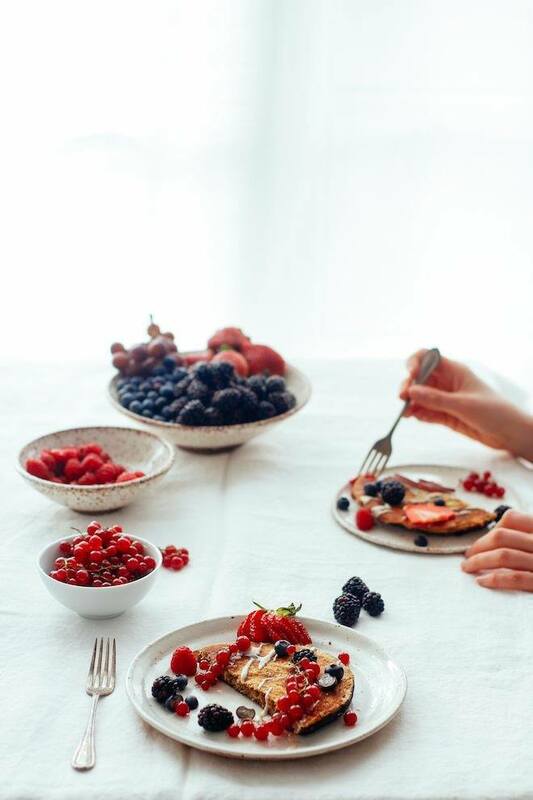 Whatever time of the day you choose, the omelet looks extremely appealing, especially with the addition of berries and currants. To me, this recipe is a good reminder that eggs can be used to make sweet dishes, even though people often focus on savory recipes with eggs. 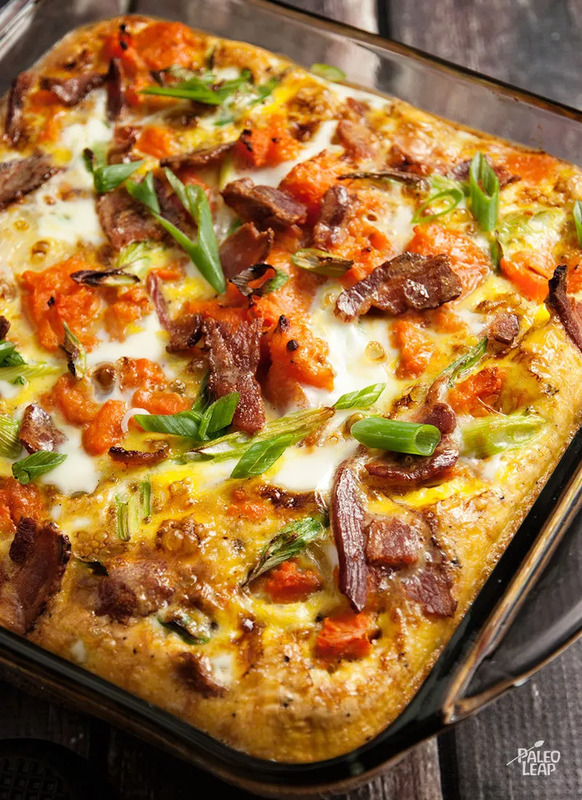 This recipe, from paleoleap.com, is another great example of how eggs can be used to make a hearty and filling breakfast. 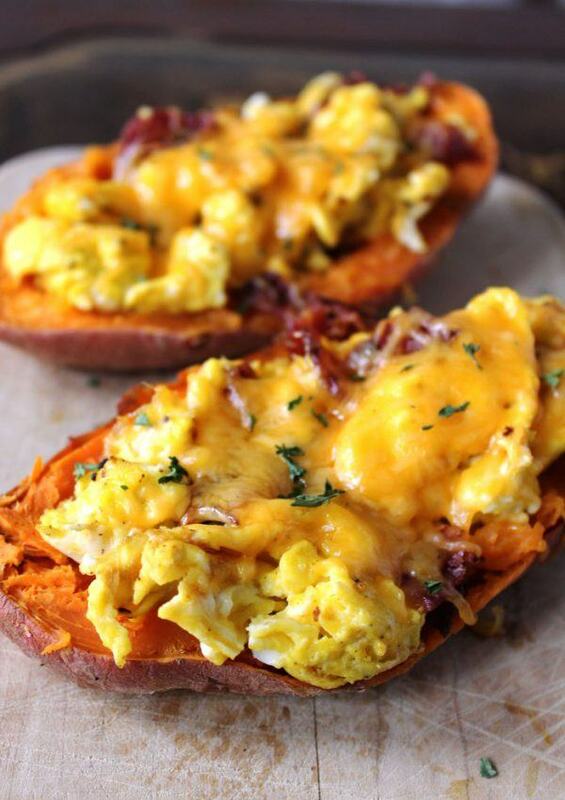 I particularly love this recipe because it uses sweet potatoes, which serves to make it a bit different than most other breakfast bakes, as these tend to rely on eggs and potatoes. Additionally, the recipe is designed to be Paleo-friendly, so it's a good recipe for anyone who is following the Paleo diet or just wants to give the diet a try. Baked egg recipes do look like appealing options for any egg love, even though baked eggs aren't really all that common. I found this version of baked eggs over at hurrythefoodup.com and it's especially interesting because the motivation behind the recipe was fighting a hangover. I'm not sure how well the dish would work for that goal but if nothing else, it certainly looks like it would taste great. Plus, the recipe is both vegetarian and vegan, so it's one hangover cure that could be used by pretty much anyone. 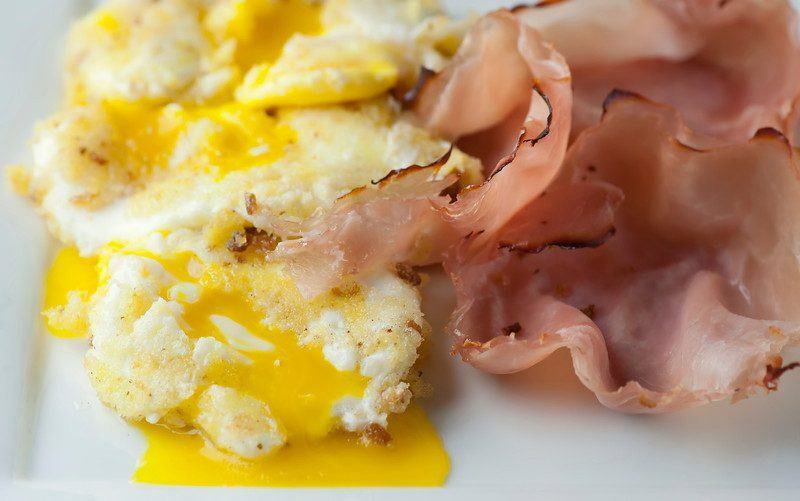 This simple recipe, from framedcooks.com, offers another alternative approach for cooking eggs. This time, the eggs use a butter breadcrumb mixture to create the outside layer that you see in the image. Beyond that, the eggs themselves are poached. This recipe is a good way to dress up poached eggs and make them more appealing to eat. As the author notes, you're also getting a lot of the flavors that you would from buttered toast, without actually eating toast. When it comes to sweet options for eggs, the crème brûlée is probably one of the most well-known examples. 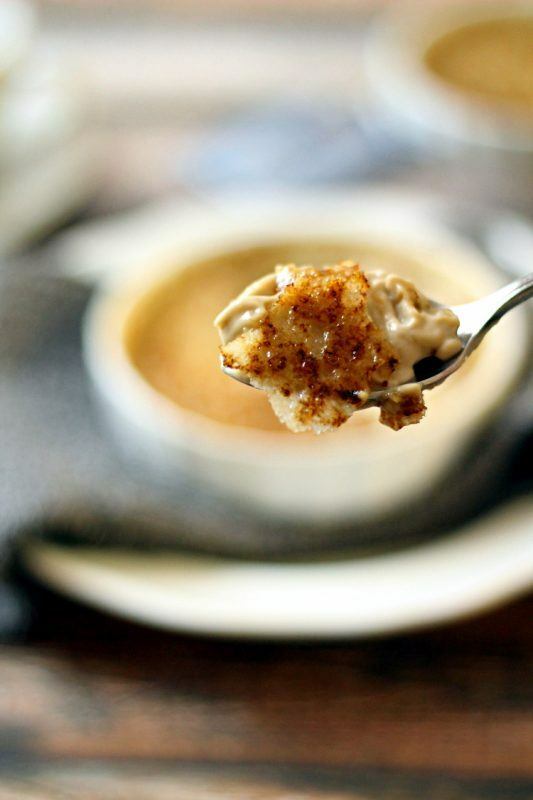 This particular version of the recipe comes from thewanderlustkitchen.com and you can probably already tell that the recipe is a bit different than just a classic crème brûlée. The Earl Grey flavor is an unusual choice for this type of dish, but it seems like the flavor would work really well, especially when balanced against the sweetness of the crème brûlée. 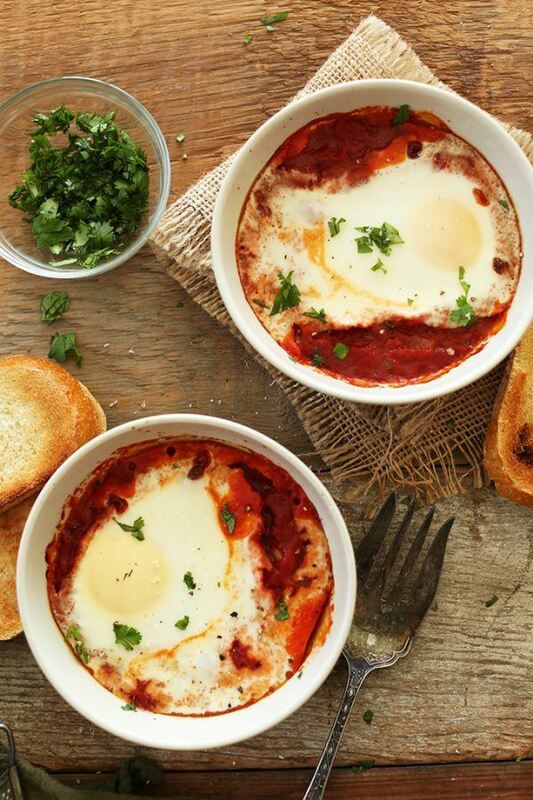 I've mentioned baked eggs a couple of times now but this recipe from minimalistbaker.com is an especially good choice if you are thinking about trying out baked eggs for the first time. One of the best things about the recipe is that it is fairly simple to make, plus it doesn't require a large selection of ingredients. Unlike most other baked egg recipes, this one is designed to make two single serving dishes. This means that you don't have to cook a large amount, which is especially good if you are just cooking for yourself or if you aren't really sure about the whole idea of baked eggs. As the previous examples have hopefully shown you, including an egg on a pizza doesn't have to be a weird approach at all. If nothing else, the egg adds in protein and that just helps to make your breakfast more filling overall. 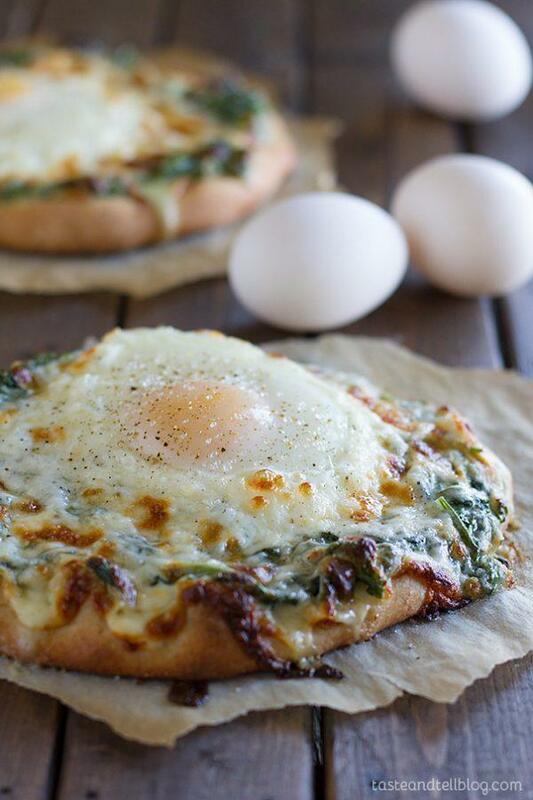 With this recipe, which comes from tasteandtellblog.com, you end up with the flavors of the egg, along with flavors of creamy spinach and, of course, cheese. Personally, I think that eggs are a very powerful option for breakfast if you want something that will satisfy you but you don't want meat. Here's another recipe that is a little bit unusual but still relatively simple. This recipe actually uses a similar breading approach that one of the earlier recipes I mentioned used but in this case the eggs are soft boiled rather than poached. The recipe itself comes from thenovicechefblog.com if you're interested in having a good at it. This approach could easily be an alternative way to make eggs for breakfast if you wanted to mix things up a bit. I've always found muffin cups especially appealing for breakfast or even for snacks, partly because they are so convenient and these are something that you can eat as you are walking (or running) out the door. 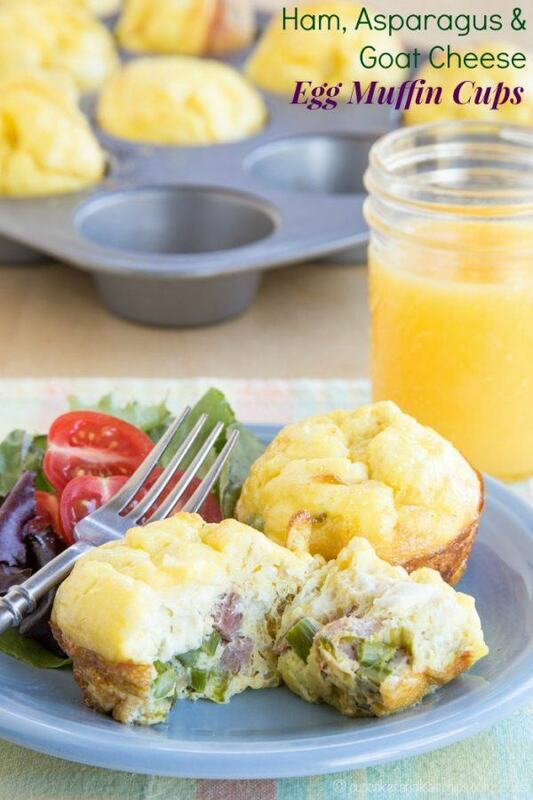 In this recipe, from cupcakesandkalechips.com, the muffin cups are egg based, and they also include some interesting flavors, such as goat cheese and asparagus. That combination of flavors could end up being pretty fun and the end result does also look visually appealing because of the different colors. 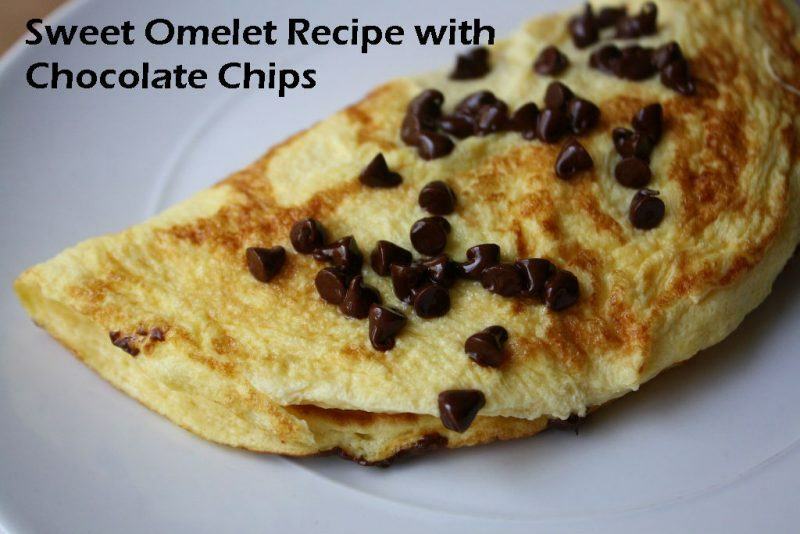 This recipe is a second example of a sweet omelet and this one comes from madelineshaw.com. 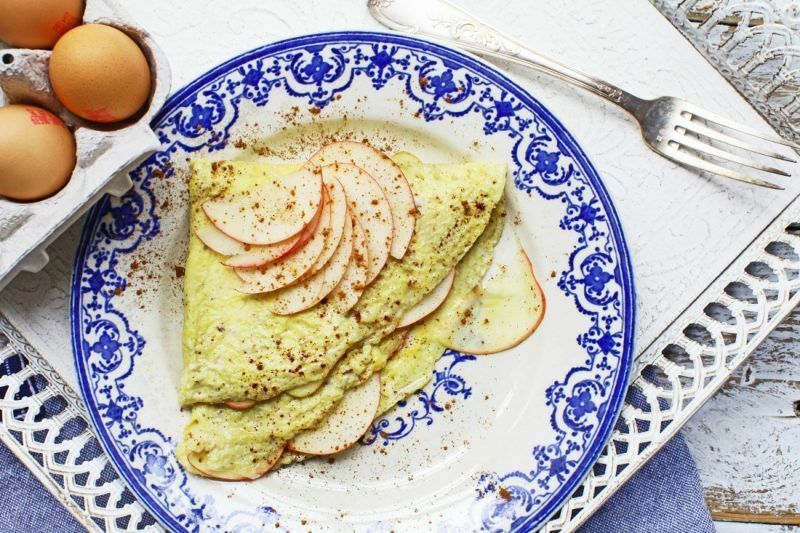 The idea of using apples on a sweet omelet actually works really well because the sweetness of apples isn't overwhelming, so you don't feel like you are getting an excessive amount of sugar first thing in the morning. The recipe also has a fairly simple ingredients list and it's nice to see that you can make a breakfast treat likes this without having to rely on complex instructions or unusual ingredients. 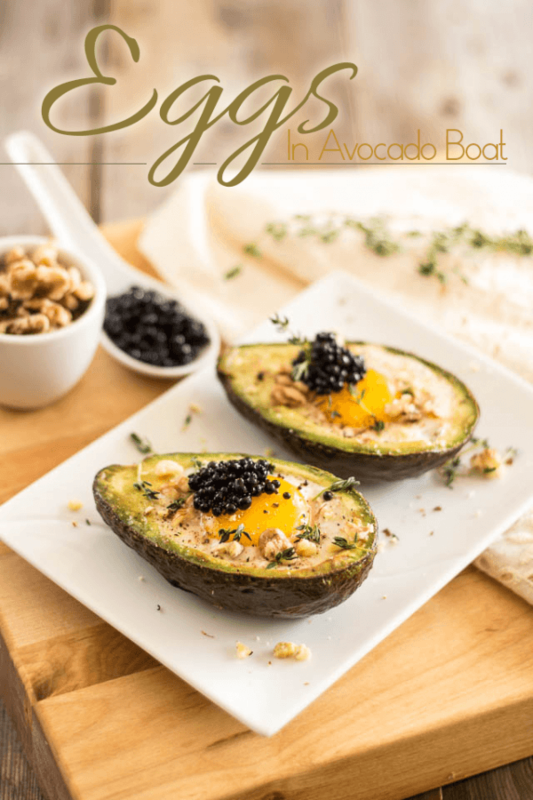 Speaking of simple, these egg avocado boats from thehealthyfoodie.com are simplicity itself. At the same time, they're also a really good way to get an extra dose of healthy fats into your breakfast. I can think of a few avocado fans that would love to get both avocados and eggs into their morning breakfast with a recipe like this. The recipe does also contain some really good instructions on how to make the boats, so you can get them perfect on your first try. I've always been a fan of stuffed potatoes but this recipe is the first time I've seen the approach done with sweet potatoes instead of regular ones. But, why not? After all, many people do prefer sweet potatoes, either because of the taste or because of the nutrients that they contain. Regardless, this recipe from smilesandwich.com is a fun variation on traditional stuffed potatoes and they really do look amazing. As the author notes, this is also one dish that reheats really well, so don't worry if you make too many stuffed potatoes. 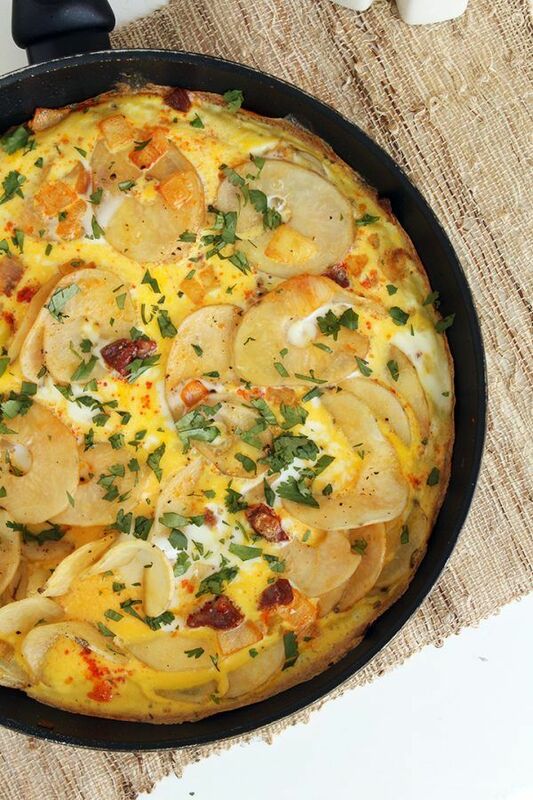 I mentioned a Spanish tortilla earlier and this recipe is another variation on that approach. This time, the recipe comes from laylita.com and it looks like a pretty fun dish to make. I love the way that it has been cut up in the image and I imagine that it would be absolutely perfect for times when you need to bring along a dish for dinner. The recipe is designed to be made with jalapenos but of course you could change that element if you aren't all that fond of spicy food. 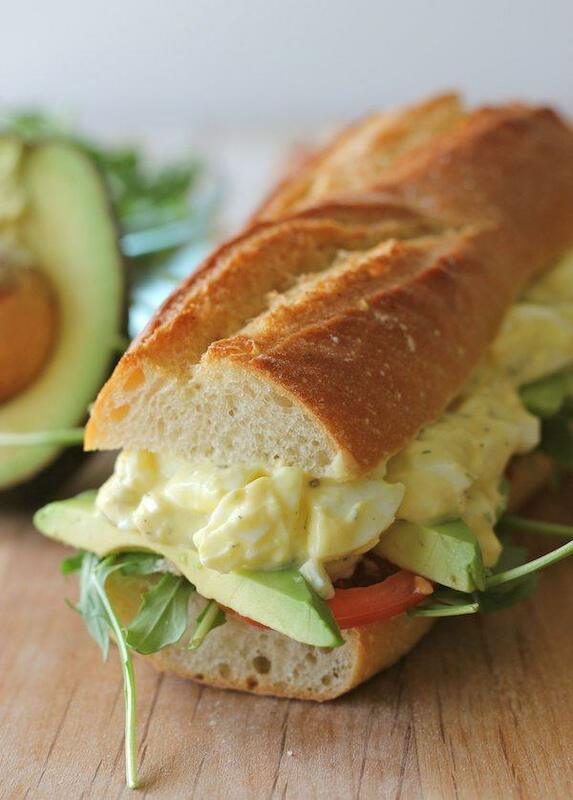 This High Maintenance Egg Salad Sandwich comes from abeautifulplate.com and the recipe certainly is a bit of fun. Most egg sandwiches tend to be on the simple side and certainly don't all that much work to prepare (or to eat) but that's certainly not the case here. 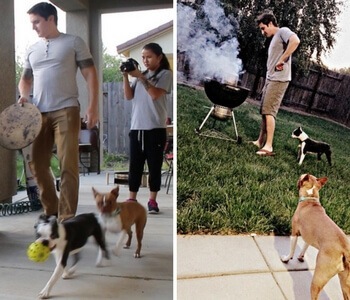 However, as the author points out, putting a bit of extra work in the kitchen can really lead to some amazing outcomes. Plus, this recipe isn't extremely complicated and it is certainly worth the effort to get something this good. 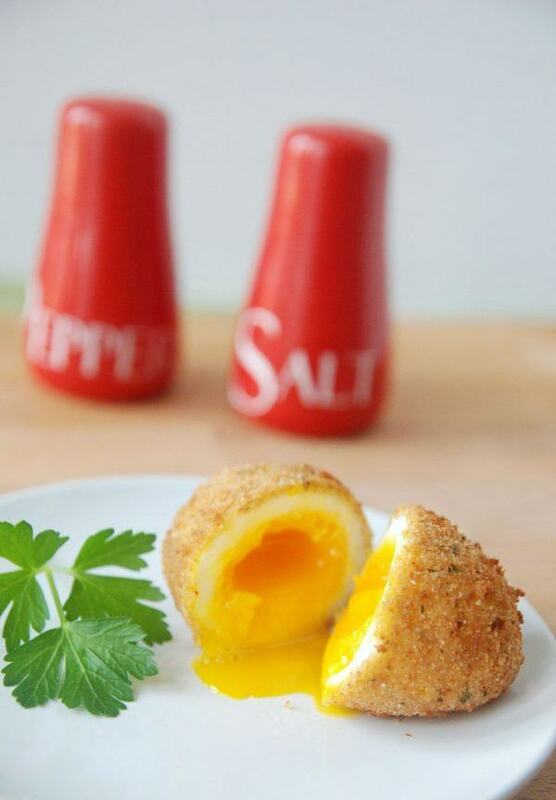 Scotch eggs are a pretty traditional English egg recipe but the approach has only recently started to catch on in the United States. This recipe comes from theframedtable.com and shows readers exactly how to make the eggs from start to finish. 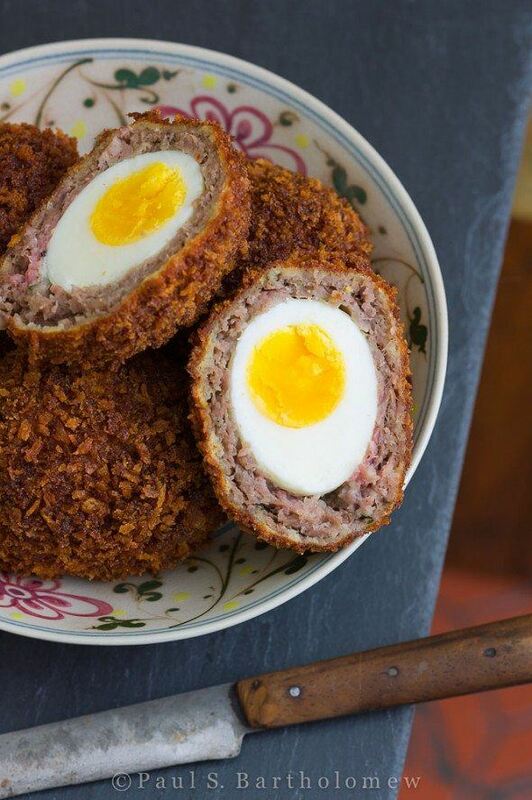 Even though they might seem a bit odd, Scotch eggs are actually a pretty cool dish. In particular, you end up with a meat and egg parcel that is extremely portable and very easy to eat. This makes these perfect as for a picnic, although you could also serve the eggs as part of a meal. 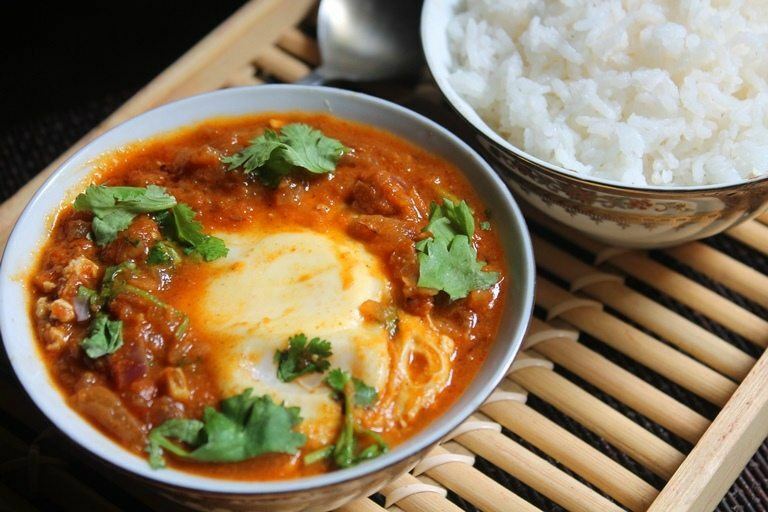 This egg curry, from chefdehome.com, is another egg option that would work great for dinner or for a hot quick lunch. In general, egg curries can be pretty appealing, partly because they are reasonably fast to make. The spices also mean that this recipe is warming, so it would work well in the cooler months. Now, there are a lot of different versions of egg curry that you can make and the author also lists a few others on the site if this particular version doesn't seem all that appealing to you. Cheese, bacon and egg. How could you go wrong with a recipe like this one? I mean, you've even got flaky pastry thrown into the mix. The recipe that I'm highlighting comes from julieseatsandtreats.com and I was initially drawn to it because of its cool shape. I think the shape would make the dish particularly interesting to serve at parties. In fact, there are also a few other crescent ring recipes on the site if this particular one isn't enough for you. Out of all of them, this particular one is certainly my favorite. 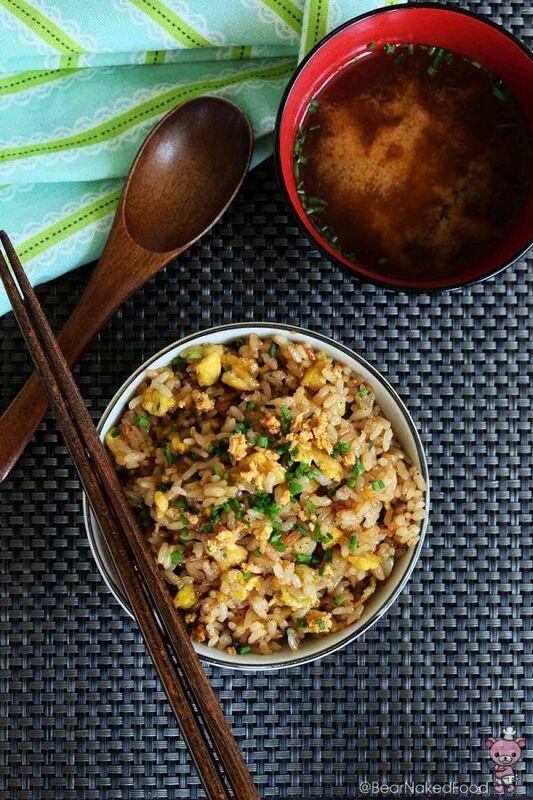 The inclusion of egg in fried rice always seems to work really well. For one thing, the egg acts as a good source of protein, which does make the whole dish more filling. At the same time, the flavor combination is really good. I found this recipe at bearnakedfood.com and the recipe takes advantage of traditional Japanese flavors. You could use this dish as a side for a meal but it would also work well as a main if you wanted something light to eat. I'm a bit of a sucker for eggs benedict and I'd have to say that the recipe is my favorite way to eat eggs. 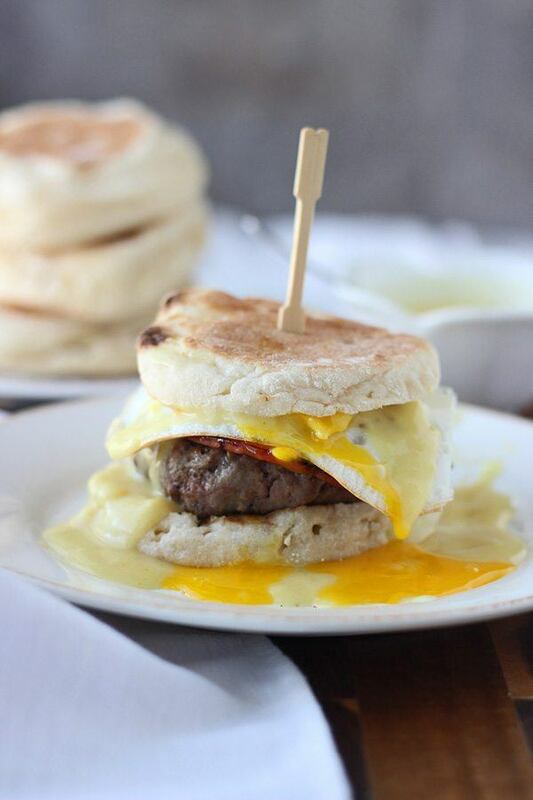 So, I was pretty excited to find this recipe, which is essentially an eggs benedict burger. This approach would actually make the whole thing that much more filling and also makes it suitable for pretty much any time during the day. That's a win-win in my books. The recipe comes from cookingforkeeps.com if you're interested in having a go at it. This coconut and honey omelet recipe comes from charlotteslivelykitchen.com and the whole thing just looks completely fantastic. The recipe is fast and easy to make and it really is a good option if you prefer sweet things for your breakfast. The omelet itself just uses three ingredients, and then you can just vary it up with whatever toppings you have on hand. Fresh berries and bananas (like in the image) are a natural choice but if you don't have access to those, there are lots of alternatives toppings that would work equally well. 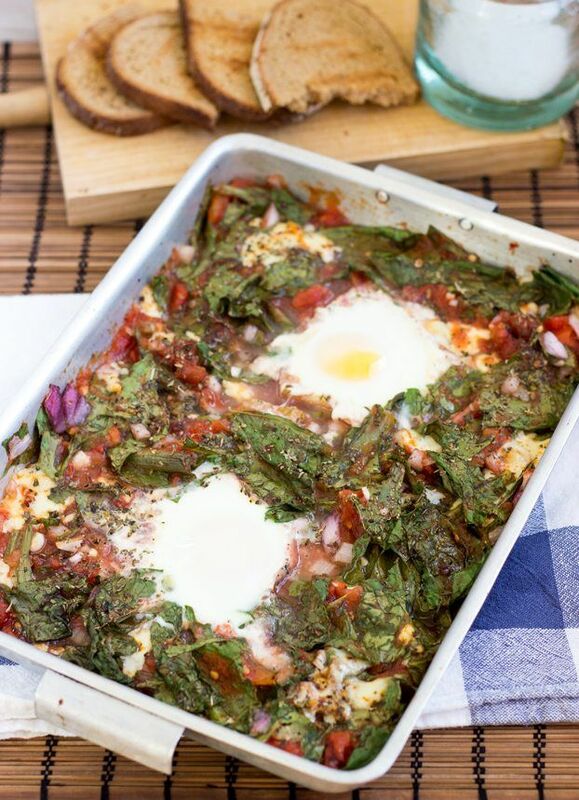 Tomato, spinach and eggs seems to be a common flavor combination for egg recipes and I love the choice. This recipe comes from leanlivinggirl.com and it's presented as a healthy alternative to beans on toast and something that you could eat at pretty much any point during the day. Baked eggs are actually an especially good approach if you're looking for a dish that you can make with minimal effort. Plus, this dish would serve multiple people or make some tasty leftovers, which is always a bonus. 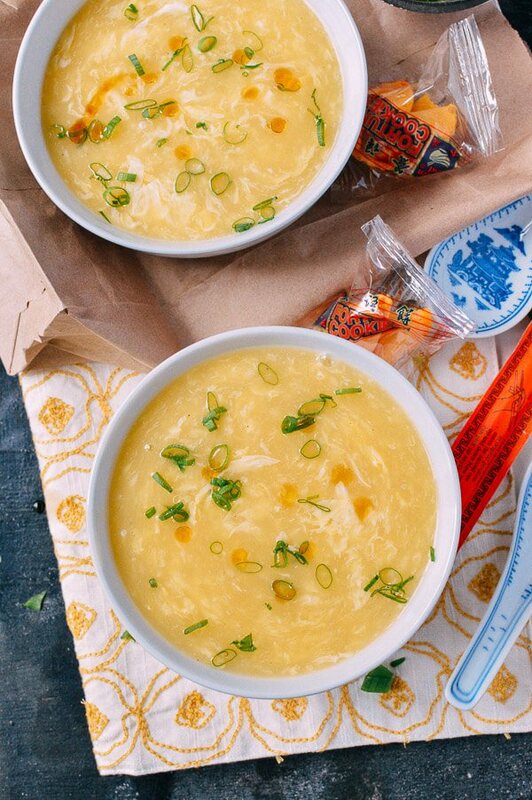 I've never actually tried egg drop soup before although I will admit that the concept does sound pretty appealing. This recipe comes from thewoksoflife.com and it seems to be quite popular among the large number of commenters on the recipe. The instructors for the recipe are exceptionally good along with images from various stages of cooking. This is an especially appealing feature of the recipe as it allows you to make the soup effectively even if you've never tried egg drop soup before. Here is one more example of the Spanish tortilla concept, although this one has a few differences compared with the other ones that I've mentioned. In this case, the recipe comes from inspiralized.com and it makes use of spiralized potatoes, which is pretty nifty. I love the end result and the dish would make a perfect option for breakfast or for lunch in my house. These popovers might not look especially eggy from the image but appearances can be deceiving. 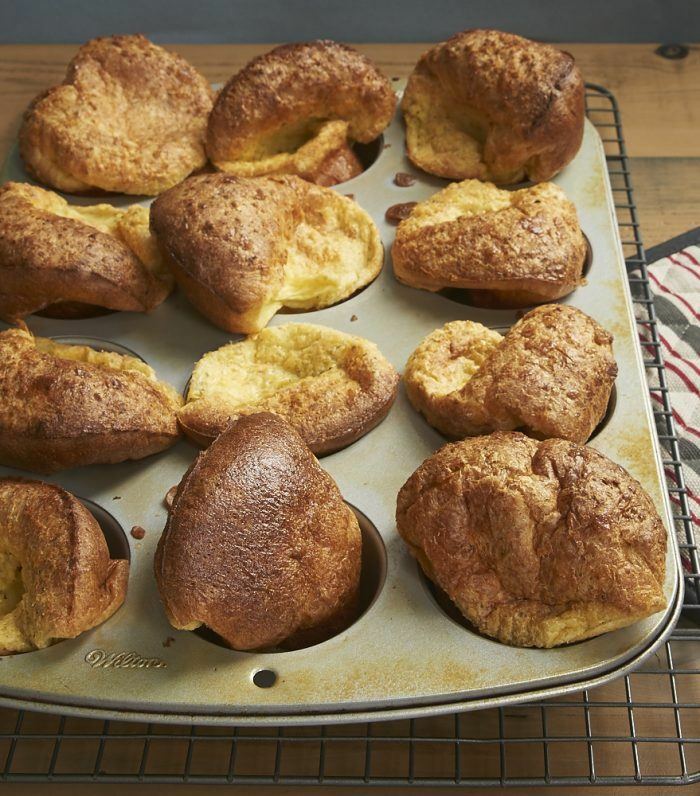 The recipe comes from bakeorbreak.com and the author has gone to great lengths to make sure that the popovers end up perfect. As she notes, they do end up looking different than one another but honestly, that's part of the fun. After all, it would be a little bit boring if they did all look the same. When I think of egg-based recipes, I always come back to quiche. Eggs are such a key ingredient in quiche and they play a key role in the creamy texture of the finished product. 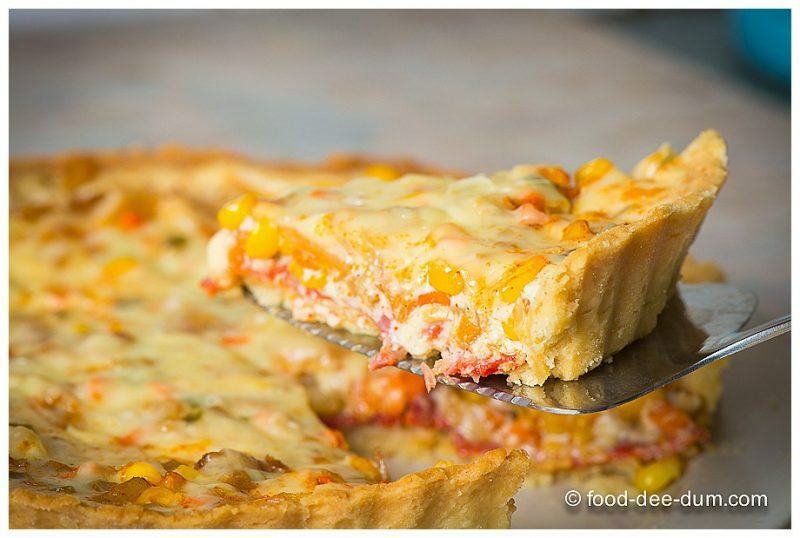 This particular quiche recipe comes from food-dee-dum.com and I personally find the combination of flavors used especially appealing. 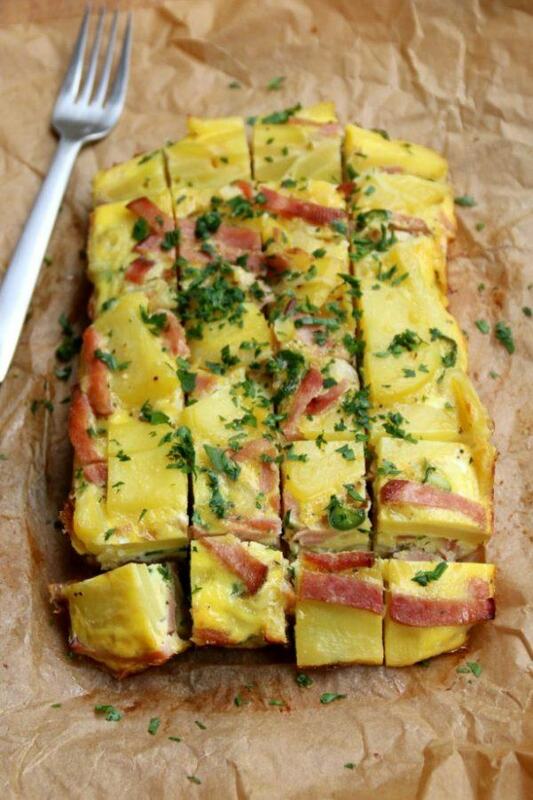 Visually, the colors of the quiche also look pretty fun and the use of bacon is bound to make it popular. The tradition is to make omelets savory but as I've already shown you, this doesn't actually have to be the case. Instead, sweet omelets can work extremely well. In this case though, the sweetness doesn't come from fruit – it comes from chocolate instead. Based on that, you could actually have this dish for breakfast or for dessert, whichever you happened to prefer. The recipe comes from runeatrepeat.com and you can find all the details you need on that site. What a delicious egg-licious round-up! I’m sure trying few recipes! Pinning for later.